CBS has renewed Young Sheldon for a second season. 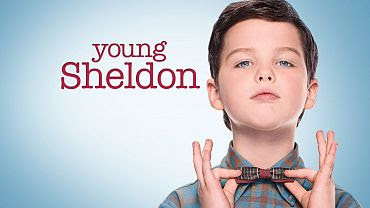 The comedy is a spinoff of The Big Bang Theory and centers on a 9-year old version of Sheldon Cooper. Despite his young age, he is intelligent enough to begin high school with his dumber, older brother. Iain Armitage, Zoe Perry, Lance Barber, Montana Jordan, Raegan Revord, and Annie Potts make up the main cast. The series premiered in September with an insanely high 3.8 in the Adults 18-49 demographic. The most recent episode garnered a monstrous 2.6 rating. The series is currently averaging a 2.36 in that demographic and is easily the highest-rated new show of the 2017-18 television season. This was a correct prediction by the TVRatingsGuide. What do you think of this news? Are you a fan of the series? Will you be watching season 2? Leave your thoughts in the comments below.